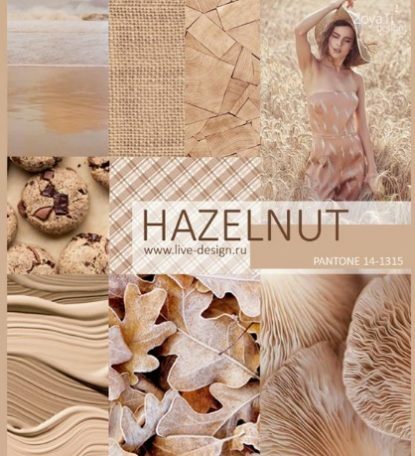 Warm and natural, hazelnut reminds us of warm sandy beaches and sun kissed skin. Satin and tulle in hazelnut enriched the power of the color giving a luxurious touch. Perfectly wear for mid Summer and breezy nights. 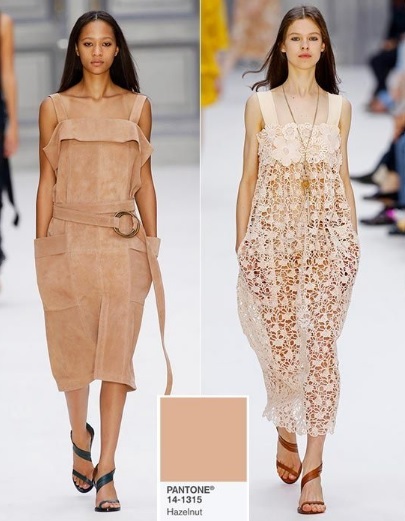 Early Spring and Autumn wear this color in lightweight fabrics with gold jewelries and glittery accessories. The skin will glow and you will have a natural beauty look.